For those of you who have tried to upload Sensorly results on 4G WiMax Protection Sites while Sprint roaming, I now know why your results aren't posting. Sensorly does not post roaming results. They only post native service. For instance, if your device is posting 3G data, it looks to see what network you are on. If you are on your native network, the results show up on the Sensorly coverage map. If you are on a roaming network, the results don't post. They only want native coverage reflected for carriers because roaming deals change and PRL's revise all the time. Native coverage is more consistent. When it comes to 4G WiMax reporting, Sensorly is still checking your EVDO connection to Sprint to verify whether you are native or roaming. Therefore, if you connect to a 4G WiMax network while roaming off the Sprint network, Sensorly's servers think you are actually roaming and does not report your results to the coverage map. This only affects newer WiMax devices, like the Evo 3D, the Epic Touch, Photon, etc. 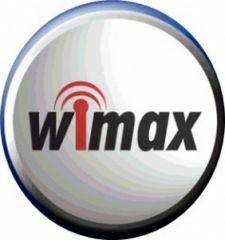 Older WiMax devices like the Epic and Evo currently will not connect to WiMax when off the Sprint network at all. However, according to a Sprint engineer, this will be remedied in a future OTA for older WiMax devices.